Broan Elite Chimney range hood. This model combines graceful curves and traditional European styling. This hood is engineered to meet the requirements of today's highly styled, conventional appliances and kitchens. Made from the highest quality 430 stainless steel and tempered glass, the Italian inspired distinctive design adds elegance to your kitchen. This range hood features easy-to-use 3-speed electronic controls with a convenient auto shut-off function, eco-friendly LED lights and stainless steel baffle filters that will maintain their luster even after many washes. Ancona's Tornado III combines elegance, durability, and features ready to fit today's modern lifestyle. 36 inch 370 CFM Chimney style range hood in stainless steel Broan Elite Chimney range hood. This model combines graceful curves and traditional European styling. This hood is engineered to meet the requirements of today's highly styled, conventional appliances and kitchens. 36 inch 370 CFM Chimney style range hood in stainless steel is rated 4.3 out of 5 by 3. Rated 4 out of 5 by Jolo from Elite RM52000 36 in. 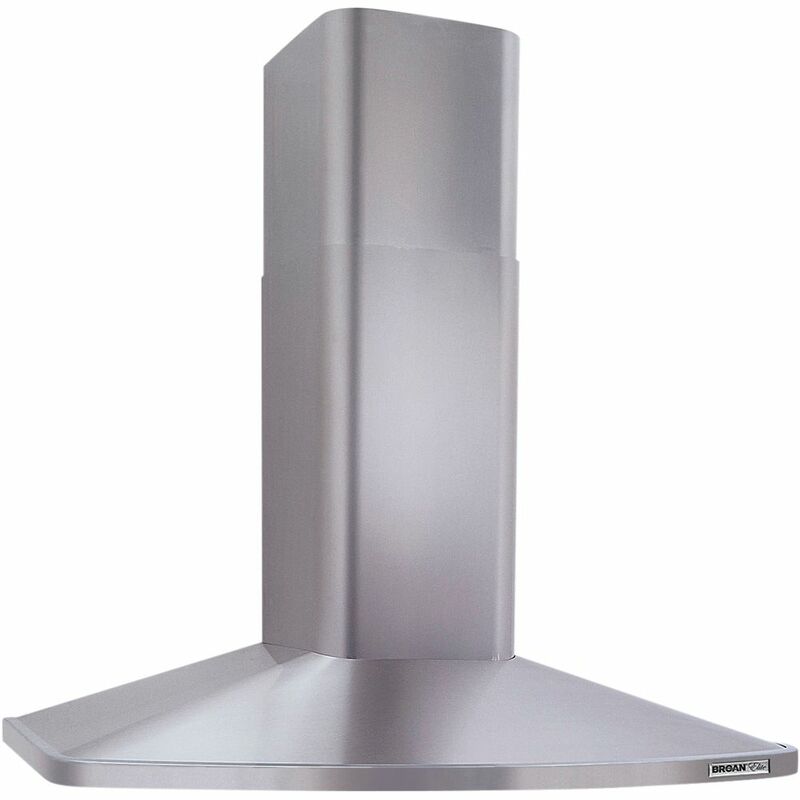 convertible chimney range hood in stainless steel Product was ordered online. The first shipped was severely damaged so we had to return it to a local store. The second shipped was slightly damaged, but we were able to use it. It has worked well so far. Rated 4 out of 5 by Anonymous from Happy with the appearance and operation of product Looks good, thought sound would be more quiet but overall happy with it. Rated 5 out of 5 by Anonymous from Looks great and works great. Have only had it for a couple of weeks, but it seems to work very effectively. Very quiet. We love the looks and friends comment likewise. The lights are bright and really light up the cooking surface. Highly recommend.